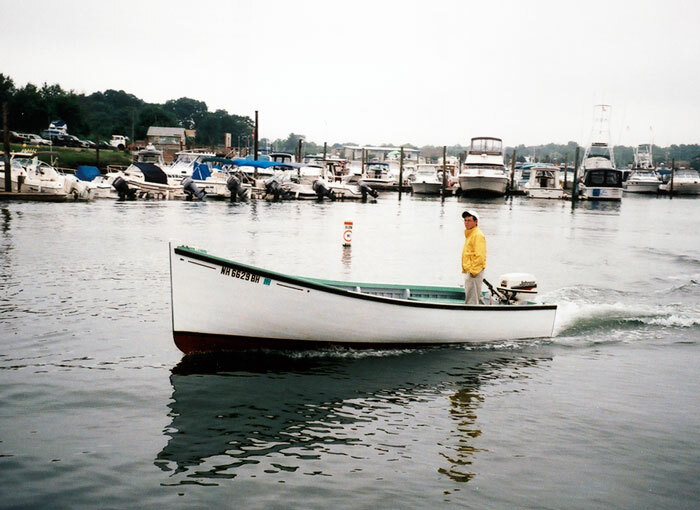 Cedric Brannen built this skiff for Rob McCauley over the winter of 2002-2003, using the same molds he used to build two skiffs for Rob's father 30 years ago. 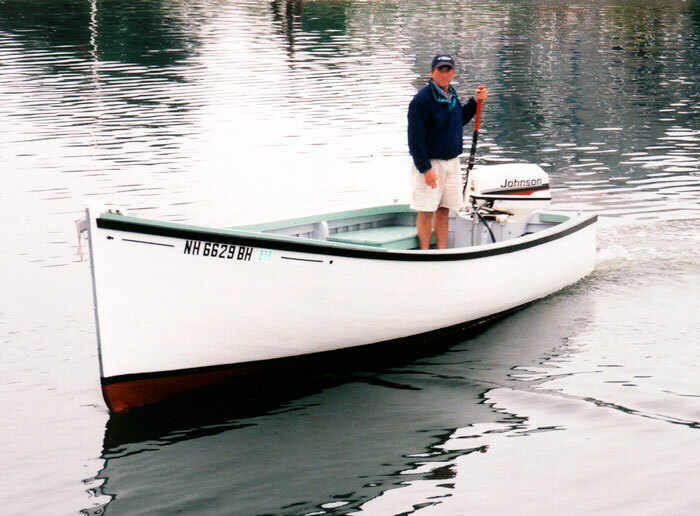 Rob writes that "the builder, Cedric Brannen of Central Wood Harbour, NS, had not had a call for a wooden skiff for some years and was delighted to set up shop again." 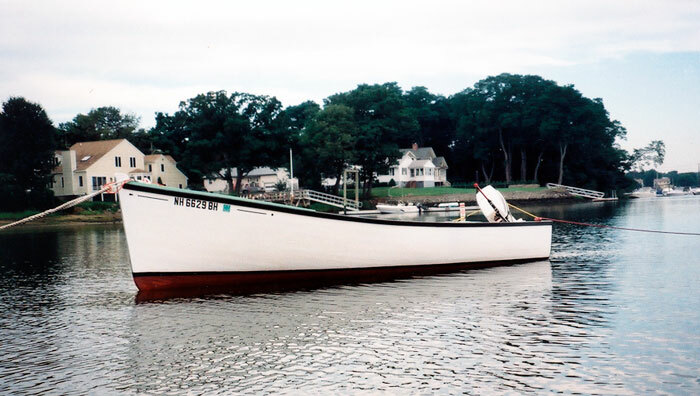 Brannen used pine on hackmatack, with clinch nails and galvanized fasteners. Rob says the boat is rugged, dry, well balanced, and easily goes 20 mph with his 40-hp outboard.